At the end of each day last week I crawled into bed, exhausted by the amount of new challenging information I had to process. Plus the jetlag. But it took me ages to fall asleep because my mind was still afire with ideas. Why was I in Israel? A year ago I was accepted into the first-ever cohort of the CEO Onboarding Program, overseen by Leading Edge and supported by the Jim Joseph Foundation, the Weinberg Foundation, the Schusterman Foundation, and other generous funders. I was grateful to have had the active support of our Board and leadership in endorsing and validating my participation. So far the program has given me incredibly unique opportunities to learn best practices, concepts, and models from mentors, coaches, other CEOs, and leadership experts. I’ve benefited from incredible coaching sessions, deep-learning seminars, webinars and resource materials, and elite consultants throughout the year. And at all times I’ve been aware of the generosity of our Federation’s leadership as they invest in my, and our, success. I’ve spent the last 30 months as our Federation’s CEO working in partnership with our President, Leslie Dannin Rosenthal, to see how we can improve Federation’s professionalism, our output, and our connectivity. So my participation in CEO Onboarding has not only been an invaluable resource in helping make me the CEO our Federation wants and deserves, but it also models what we’ve set out as an organization-wide commitment to nonstop learning and professional development. Everyone should be continually learning how to get better. Each one of us should always be looking for ways to improve. First, I’ve had private discussions with ‘the greats’ of Jewish communal service – leaders whom I admire, respect, and have followed for some years. I’ve been privileged to have had meetings and discussions with John Ruskay, Chip Edelsberg, Ted Farber, Jeff Solomon, Steve Windmueller, and many others through this framework. In each case, using tools and concepts I’ve learned in the coursework, I’ve come to them with ideas and questions and looked for their counsel and input. Second, I’ve benefited from coaching with Shifra Bronznick, founder and former director of AWP (Advancing Women Professionals in the Jewish Community). Shifra and I regularly discuss a wide range of organizational, structural, and personnel-related issues. In particular, we focus a significant amount of time on thinking through how to reflect Jewish values in Federation’s HR practice, and how to further advance the workplace culture so that GMW can continue to become an even better place to work. I believe that we’ve become a much stronger, kinder, more inclusive, more fun, more engaging, more vibrant place to work. Not just for the immediate benefit of our professionals (critically important though that is) – but also for the engagement of our lay leadership and the deepening of our connection throughout our community. 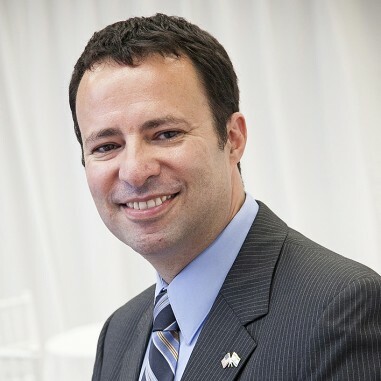 Third, I’m now part of an extremely supportive and collaborative cohort of eleven CEOs, from extremely diverse backgrounds and organizations – Federations, JCCs, Women’s Foundations, Slingshot, Sharsheret, AJWS, JFS, and more. Talented, committed, passionate leaders, who inspire me and impress me as we learn together. In our frequent conversations by Skype, email, and phone-conference, we continue to deepen the cooperation and mutual support that, I believe, is now finally re-emerging in the national scene as well. Fourth, I’ve participated in a series of conversations and presentations on the unique role of the Jewish organization and the Jewish CEO – how do we grapple with the ‘fishbowl’ effect (everybody’s watching every single thing I do, at all times of the day), and what are the – sometimes contradictory – expectations from our Boards and professionals and communities? How do we implement concepts of adaptive leadership and community values in our daily work, and how do we understand the impact of our actions on our surroundings? How do we prevent burnout, overreach, and imbalance? Finally, I was thoroughly impressed by a retreat at the Center for Creative Leadership, to learn leadership and management styles, processes, feedback mechanisms, and other incredibly useful tools and concepts. Many of these new ideas have been introduced, in different ways, into our Federation’s professional realm. I go back over notes and project plans, continually implementing and pushing us in new areas. 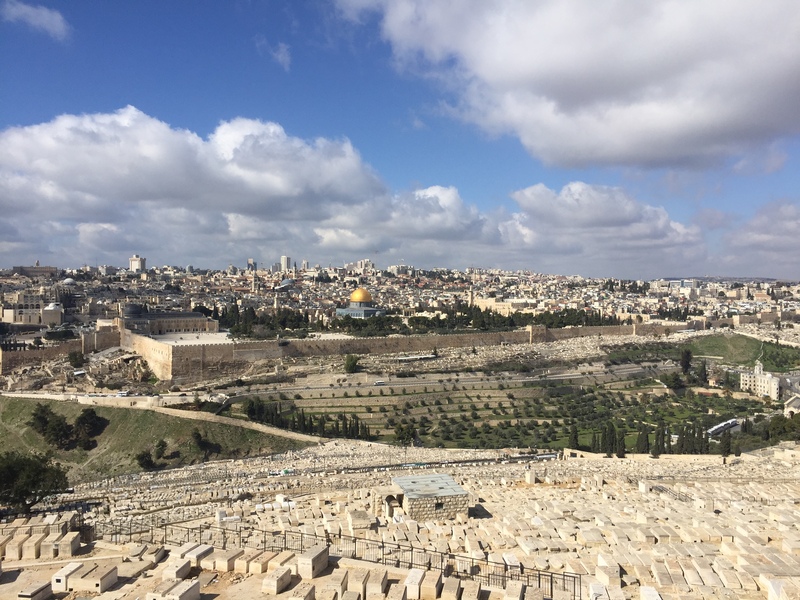 Last week in Israel was the final formal seminar session, although there will be more webinars and – I hope – some kind of ongoing commitment to annual meetings. I spent five days in seminars, lectures, and field experiences with the Hartman Institute and the Israel Institute. Among many sessions, I learned from scholars, communal leaders, members of Knesset, journalists, diplomats, settlers, and activists. It was challenging, enlightening, and inspiring – not just on a personal level, but also to learn how to professionally grapple with the ‘challenge of Israel’ as CEO of our Federation. We’re going to face more challenges in the months ahead: How do we discuss religious pluralism? How do we shape Jewish identity across our two countries? How do we deal with the upcoming 50th anniversary of the Six Day War and its consequences? I’m deeply grateful for the incredible support of the generous funders. And I’m grateful to Leslie and our Board of Directors for supporting me along this path and allowing me to begin this investment, which will continue to bring significant rewards to our Federation.